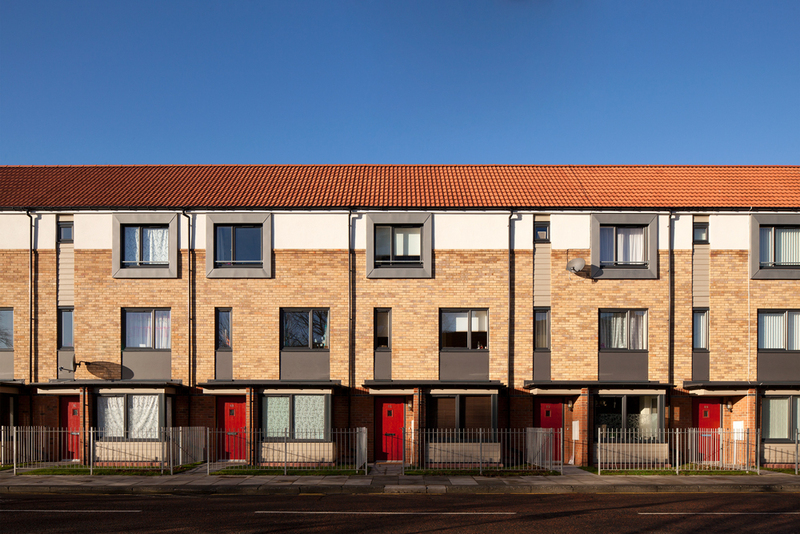 Napier Street is a residential scheme for Leazes Homes and constructed by Frank Haslam Milan in Newcastle city centre which provides a range of dwellings to suit the needs of a mixed community. The scheme comprises a four-storey apartment building with 15no. 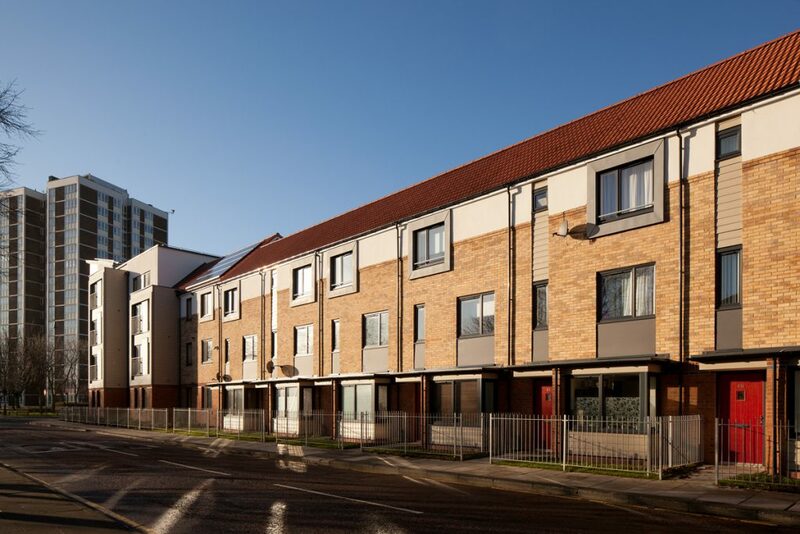 two bedroom apartments for people with learning disabilities with low level support needs and 10, three storey townhouses, five of which are available under a shared ownership scheme. 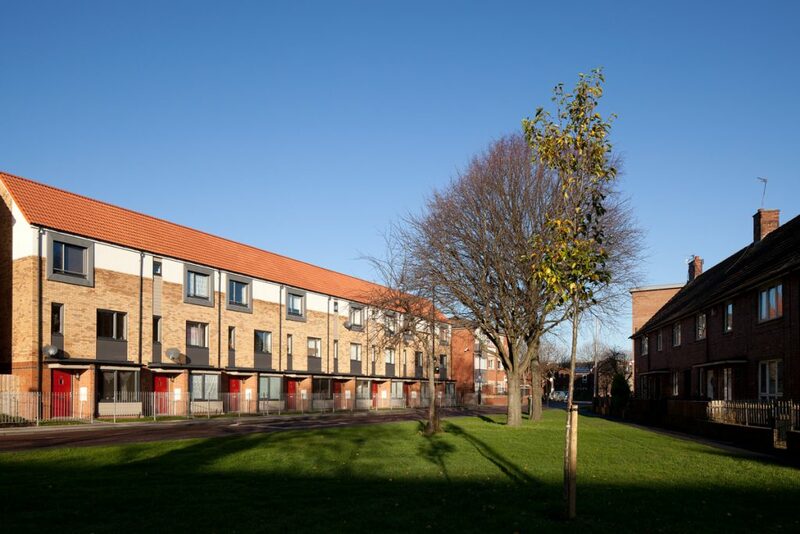 The site is enclosed on all sides by residential properties surrounded by open space landscaped areas so that it was very important that the development fitted in with the existing townscape whilst also providing good high quality suitable accommodation for learning disabled people. For such vulnerable tenants it is vital to provide an environment which will strike a balance between being safe and secure and allowing a maximum level of independence within the community. The apartment building provides 24 hour concierge cover as well as a communal lounge with roof terrace, and support office facilities. Timber frame construction has been used to maximise insulation and air tightness. 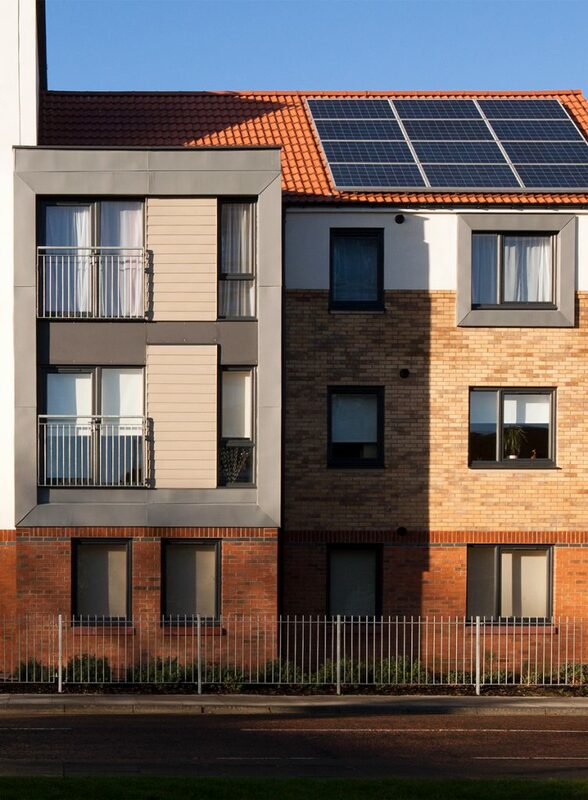 The apartments are provided with a substantial photovoltaics array on the roof to contribute towards the scheme’s electricity requirements. 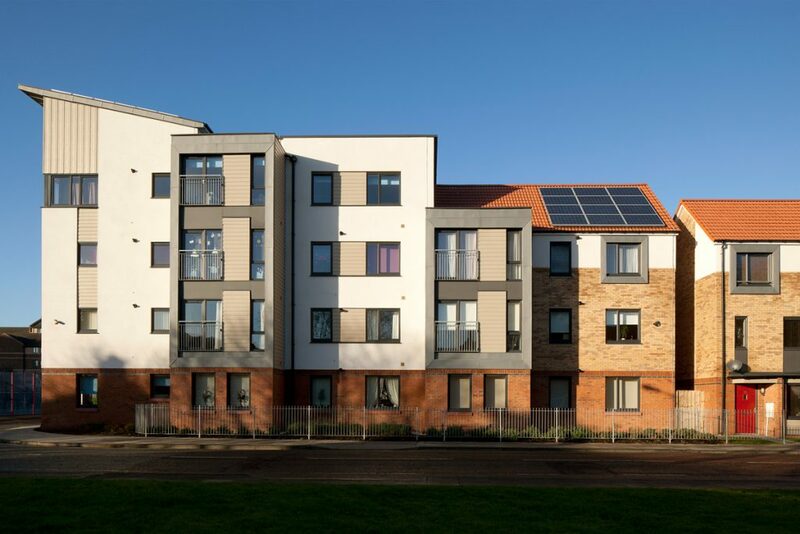 The apartments achieved Very Good under BREEAM and the houses achieved Level 3 under the Code for Sustainable Homes.